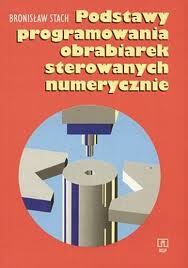 General technical knowledge. 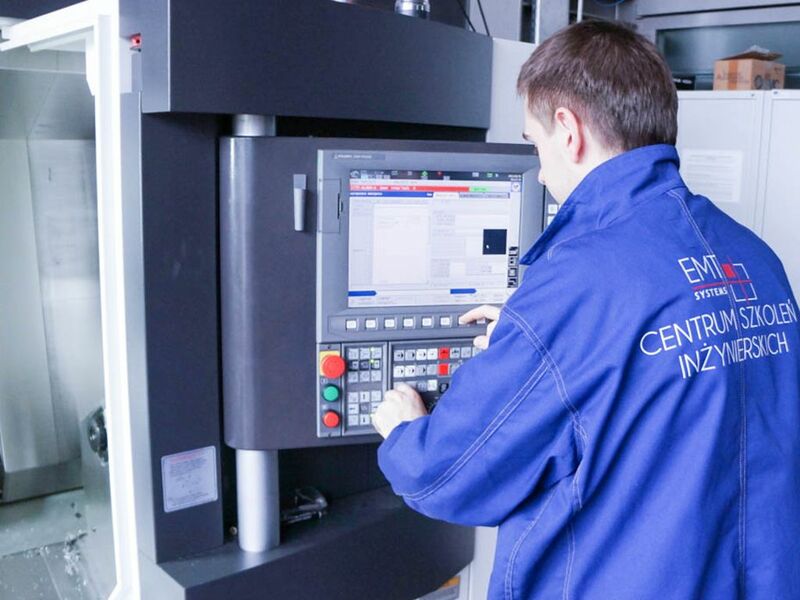 Completed basic CNC1 course or skills included in the course program. 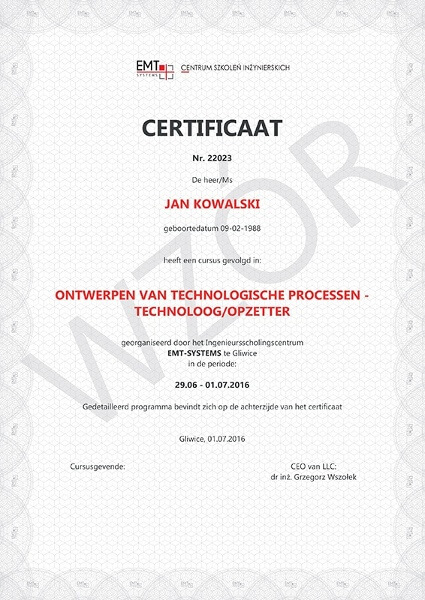 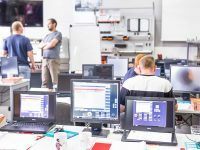 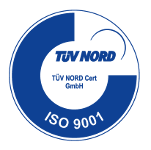 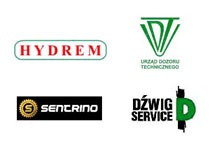 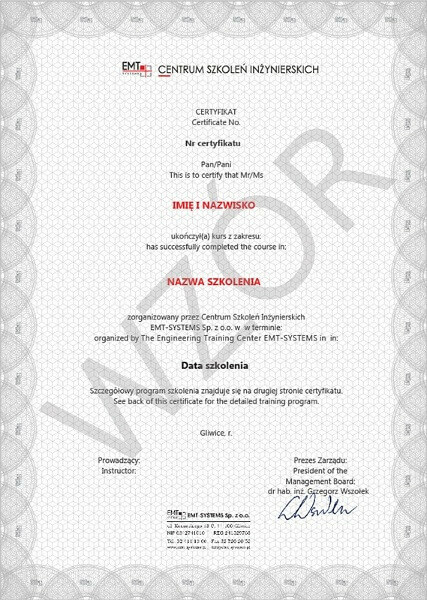 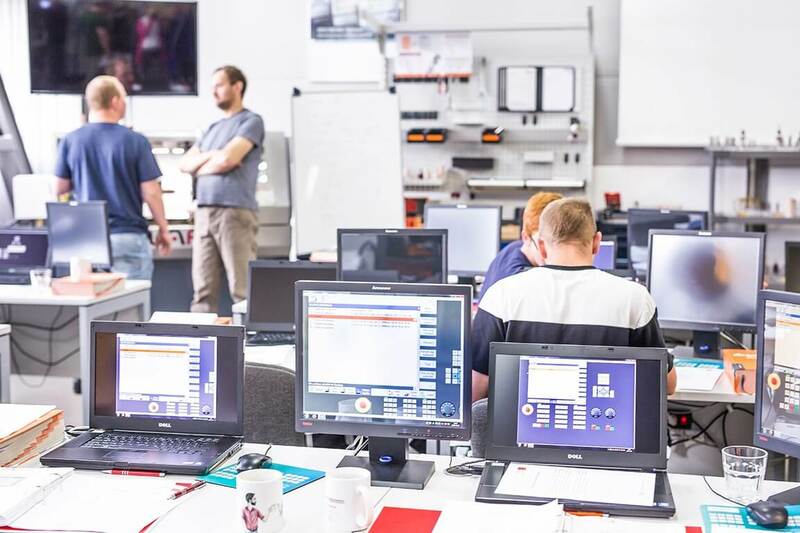 Taking the examination prepared by EMT-Systems and the organization TUV Nord Poland, students have a chance to receive an additional certificate of competence as part of the training. 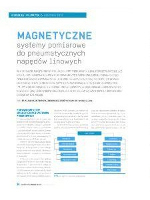 The document is prepared in three languages - Polish, English and German. 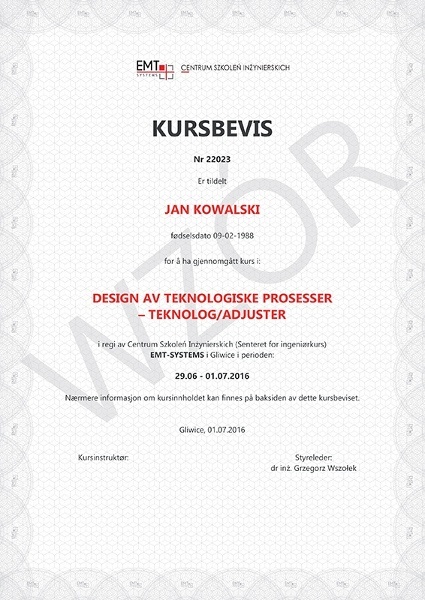 In case the participant wished to take the exam, it needs to be stated in the application form. 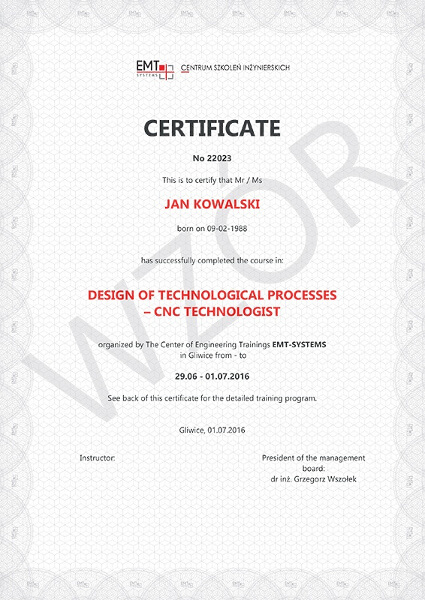 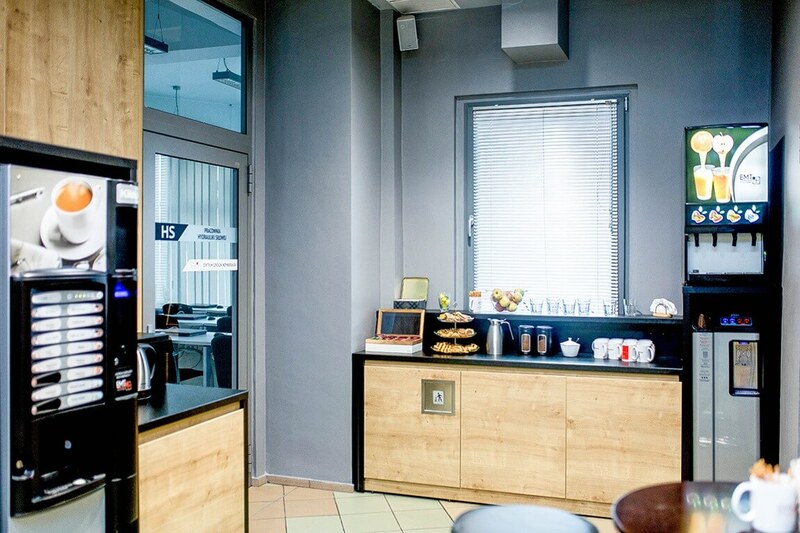 The cost of the examination and certificate is 200 PLN. 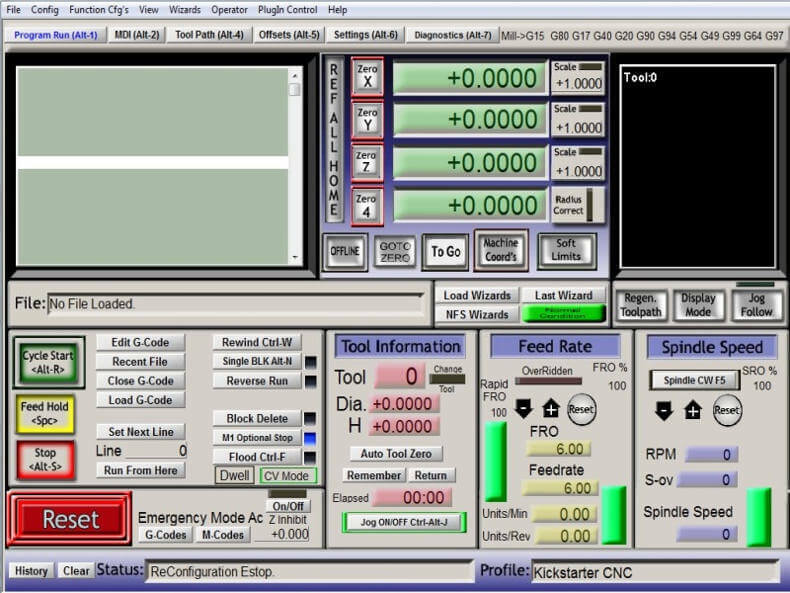 This option is voluntary. 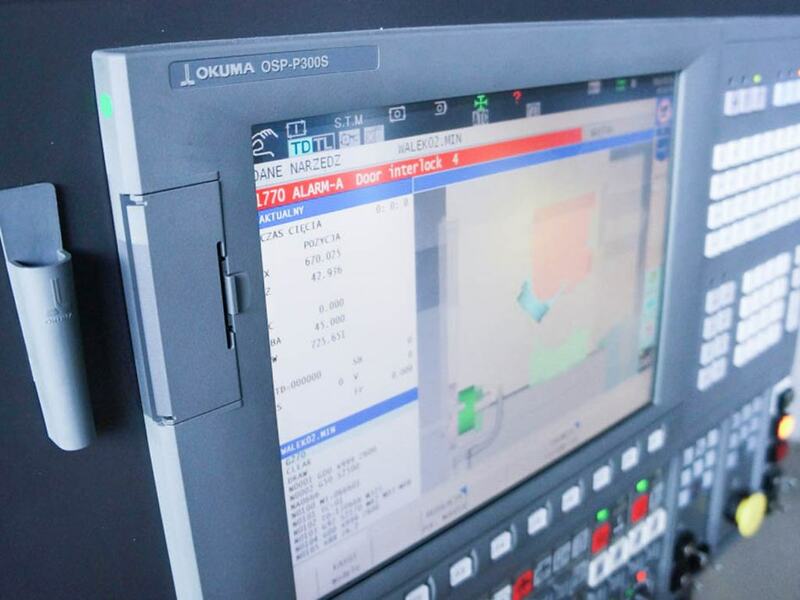 Reading and analyzing execution drawings of the selected machine parts. 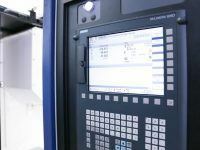 Selecting and setting machining datum surface. 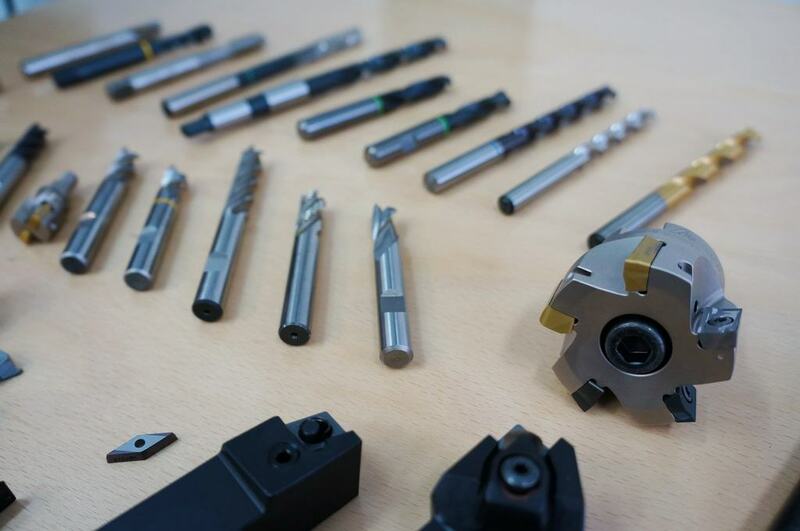 Tolerances for linear and angular dimensions, taper tolerances. 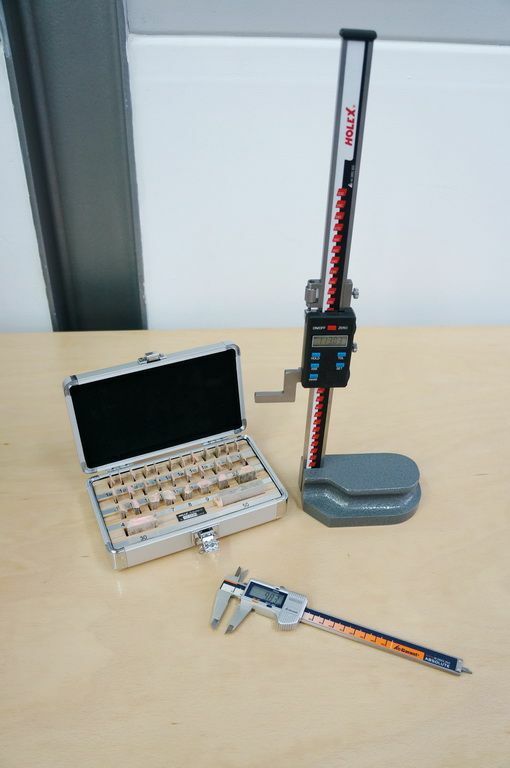 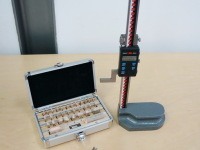 Measuring instruments, tests and gauge blocks. 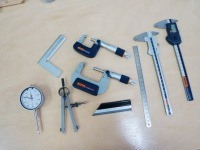 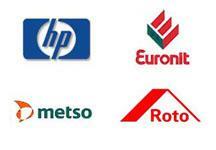 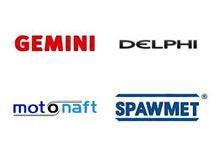 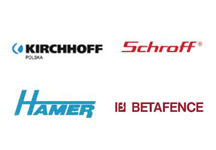 Selection of tools using tool catalogues. 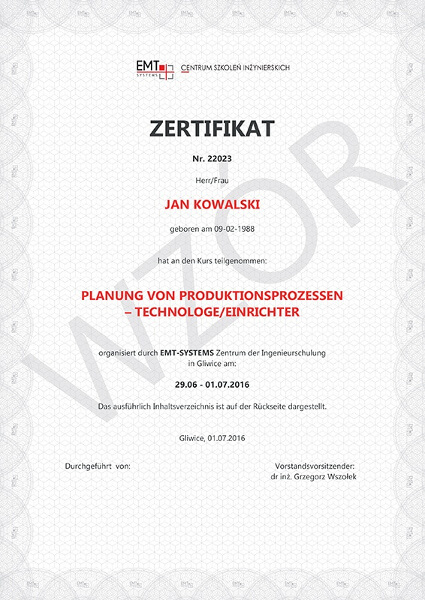 Creating technological documentation of the processed element based on the executive drawing. 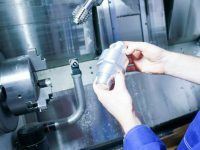 Division of machining processes into operations and procedures. 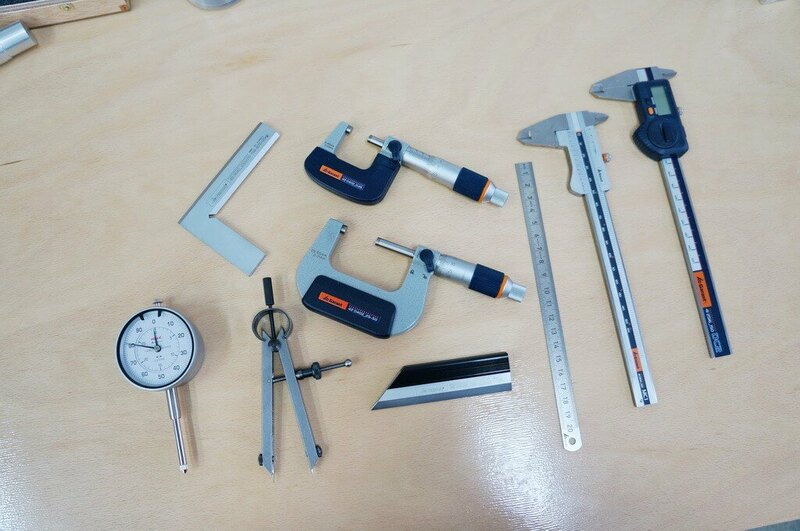 Selection of tools for particular procedures. 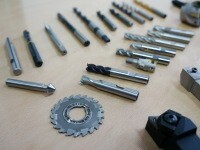 Selection of cutting parameters for the material and tools chosen for the machining process. 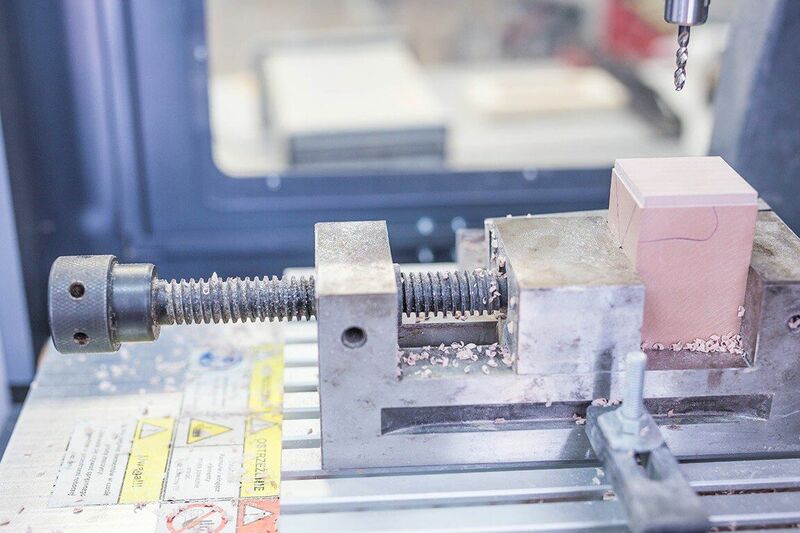 Preparing the process sheet for the turret. 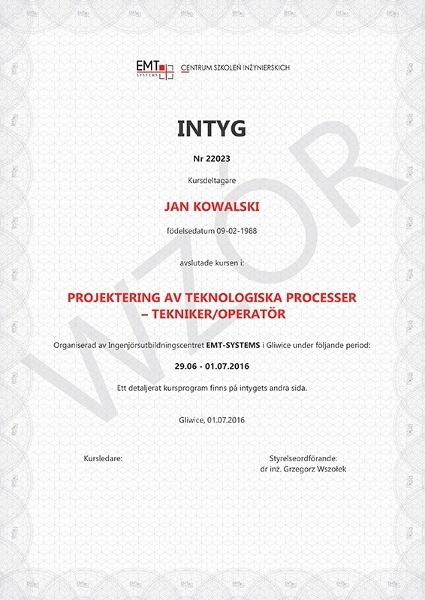 Preparing the technical inspection form. 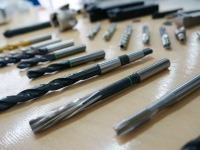 Overview of the tools assembly methods. 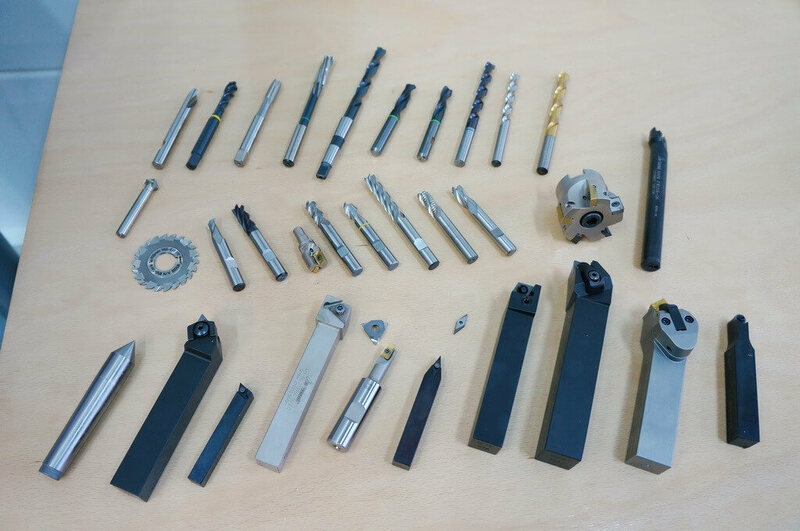 Overview of the workpiece material assembly methods. 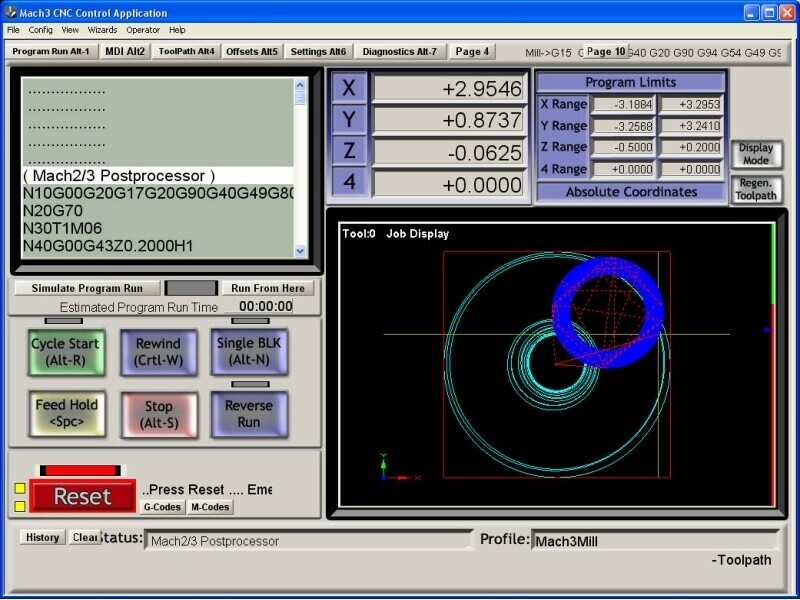 Preparing the machining program, performing a simulation. 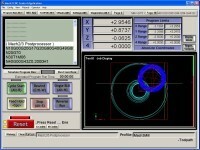 Theoretical calculation of the machining time. 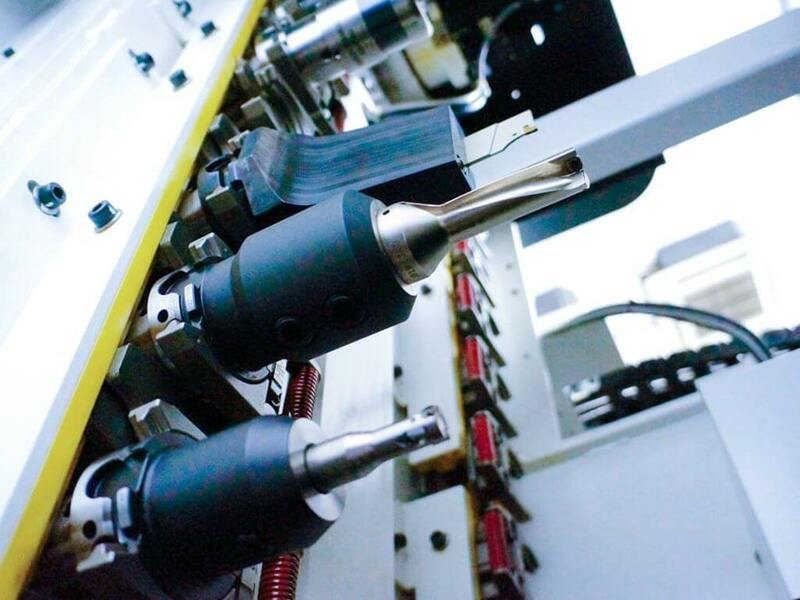 Creating the technological documentation for the milled element based on the executive drawing. 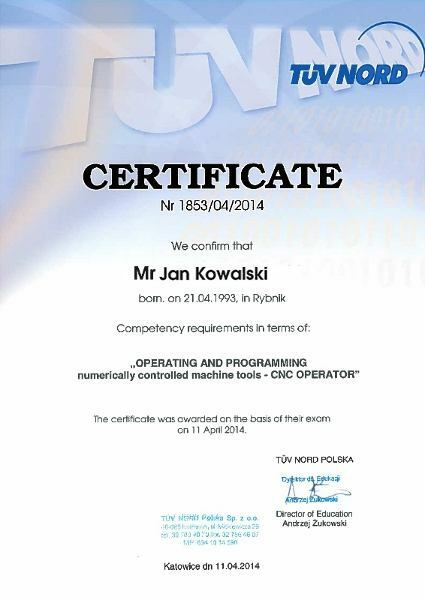 Division into operations and procedures. 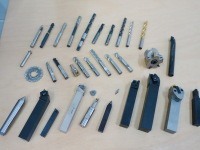 Selection of tools for particular procedures with preparation of the frames and fixing elements. 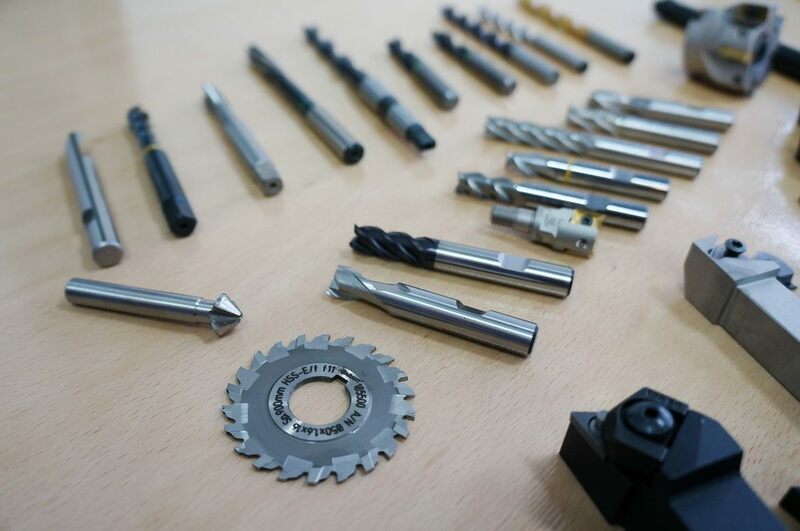 Selection of cutting parameters in relation to actual tools and machined elements. 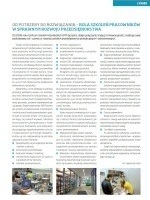 Preparing the tool magazine sheet. Preparing the technical inspection form for the tolerated dimensions. 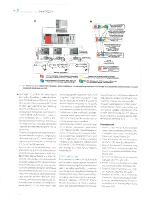 Overview of the methods of tool assembly in the milling center magazine. 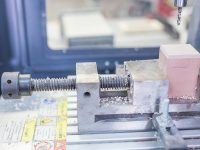 Overview of the methods of fixing the workpiece material on the milling table. 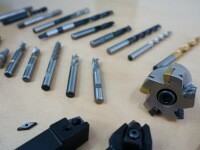 Starting the machining tools and preparing them for the realization of the prepared applications. Mounting the tools, correcting the tools performed on the CNC machining tools. 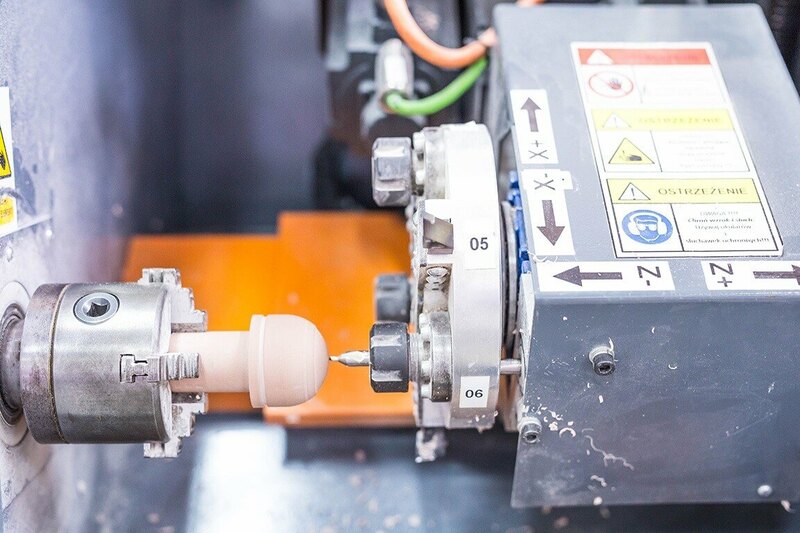 Fixing the workpiece materials, CNC lathes and milling machines (splitting into groups). 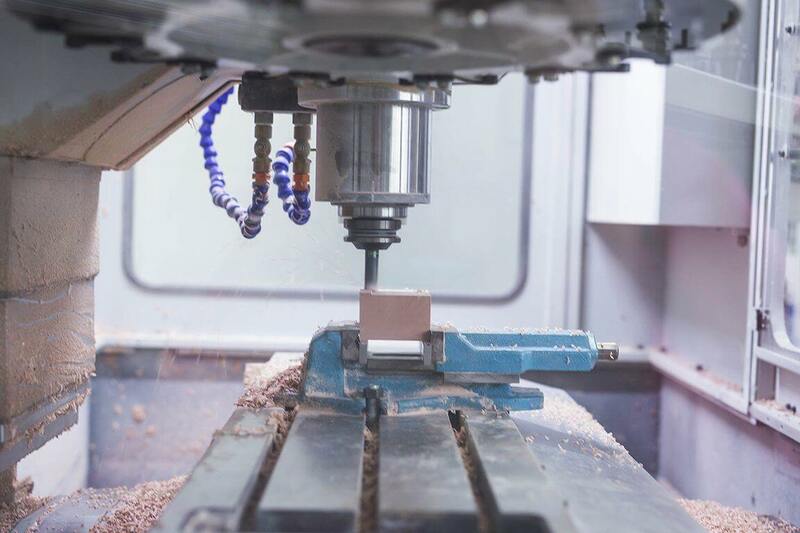 Setting the machining base and zero points on the workpiece material. 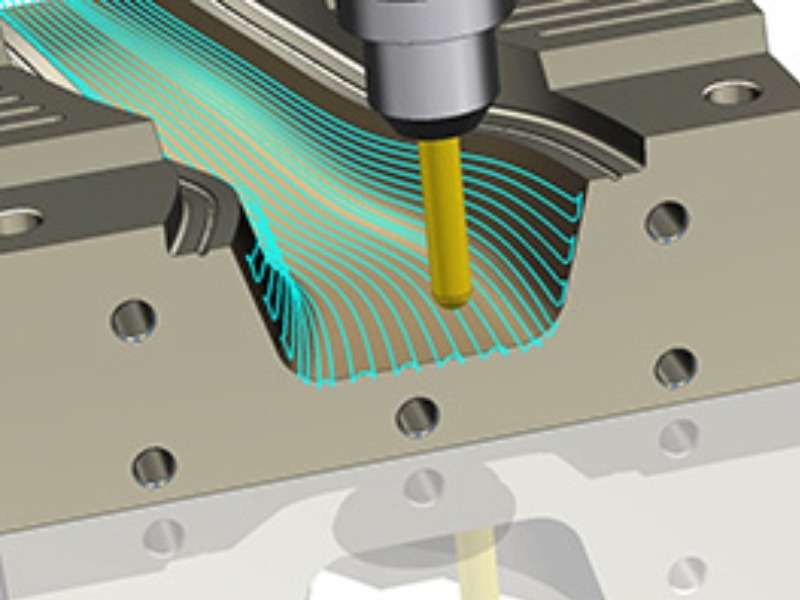 Tests of the program on machining tools and simulation of the machining process. 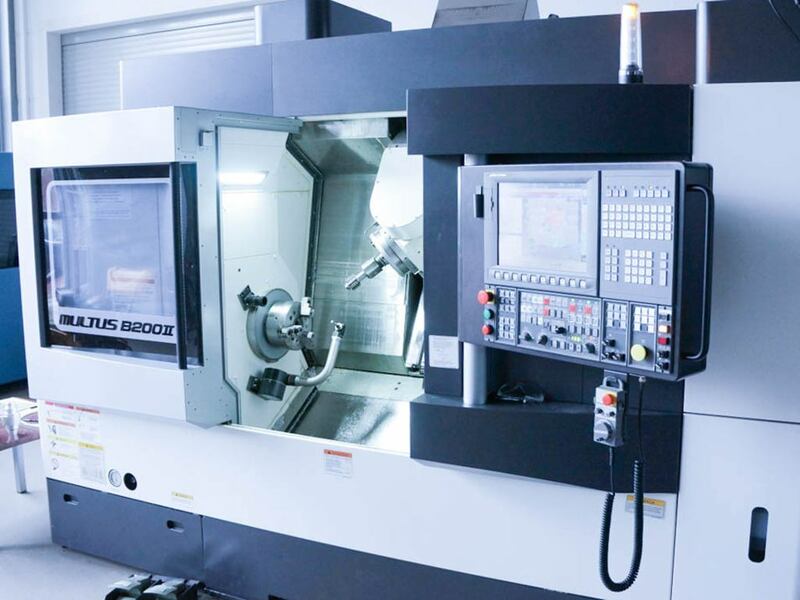 Producing the elements of machine parts on lathes and CNC milling centers. 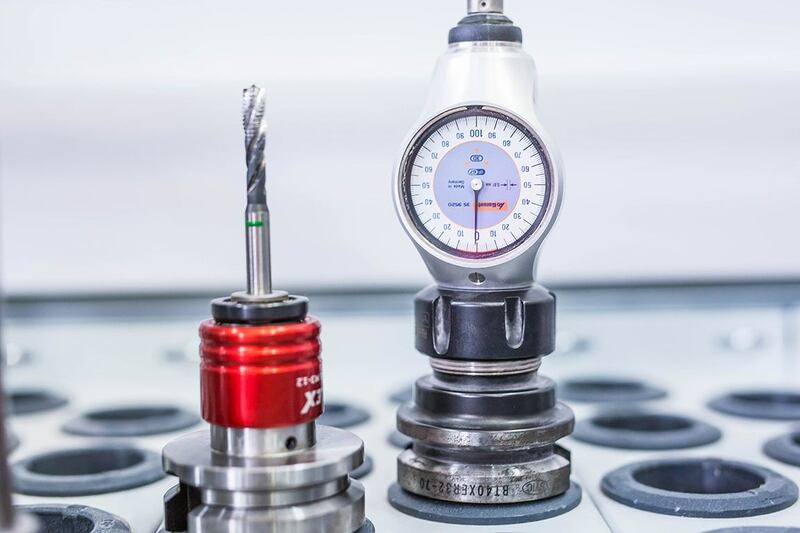 Technical inspection, verification of the dimensions, tolerances and surface roughness. Overview of the methods of performing tool corrections while using them. 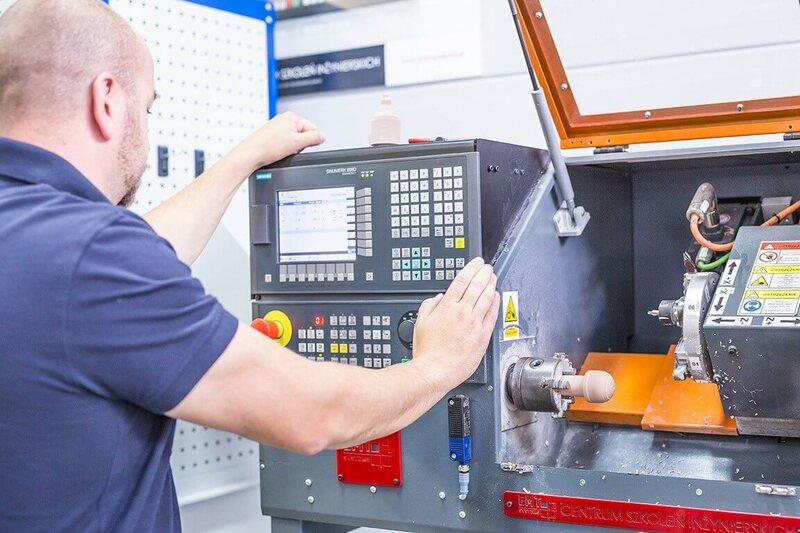 Setting the operator to run the production process and providing essential guidelines to ensure the correct functioning of the machining tool in accordance with occupational health and safety regulations and performing the workstation inspection with regard to the manufactured elements. 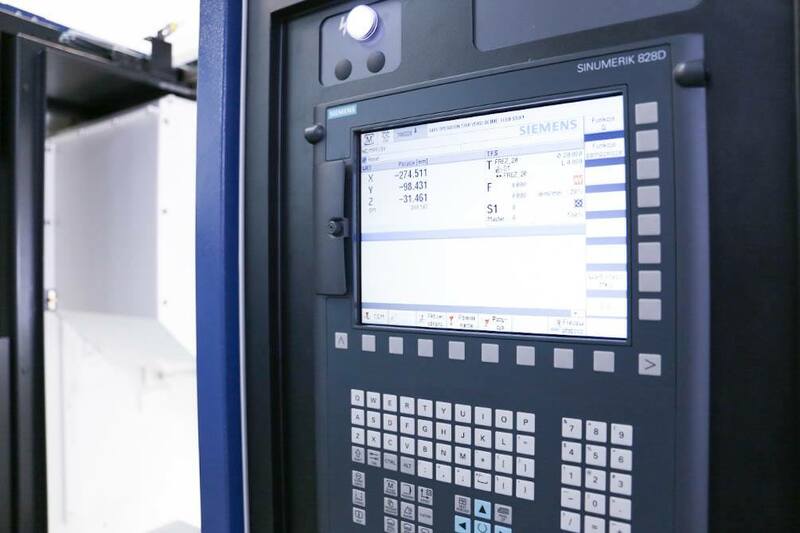 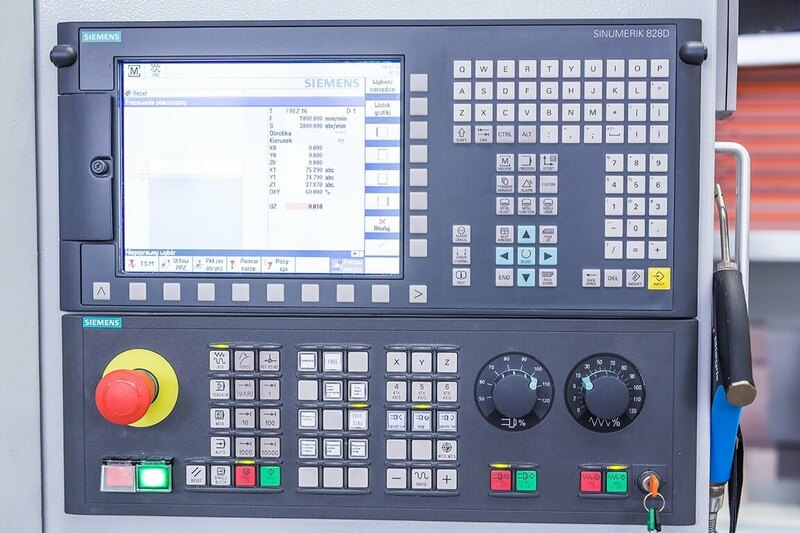 FANUC 0iTF - R550 "Harnaś"
SinuTrain Operate 4.5 SP2 is not only a training program, but also allows for programming CNC control SINUMERIK offline, due to the fact that it is based on the same system SINUMERIK Operate. 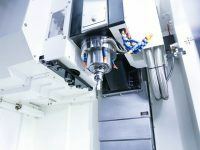 It is therefore an ideal tool for the operator, technologist and setter of the CNC machine. 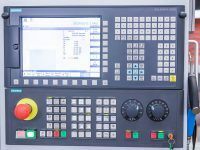 Mach3 is one of the most popular programs enabling control of the CNC machines featuring up to 6 axes. 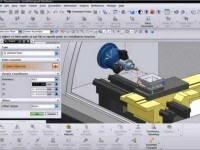 It makes it possible for the regular computer to become controller for any CNC machine. 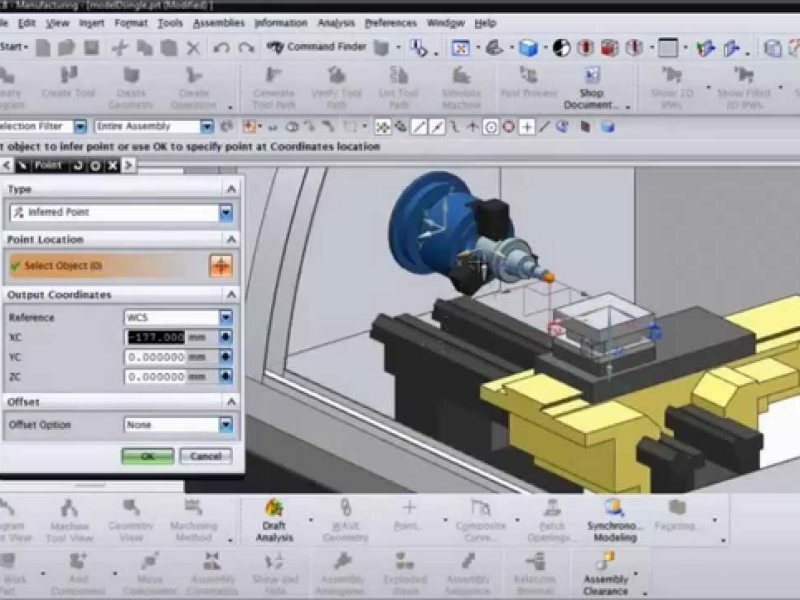 Manual control is based on G-codes, the program also enables continuous preview of tools and machining parameters. 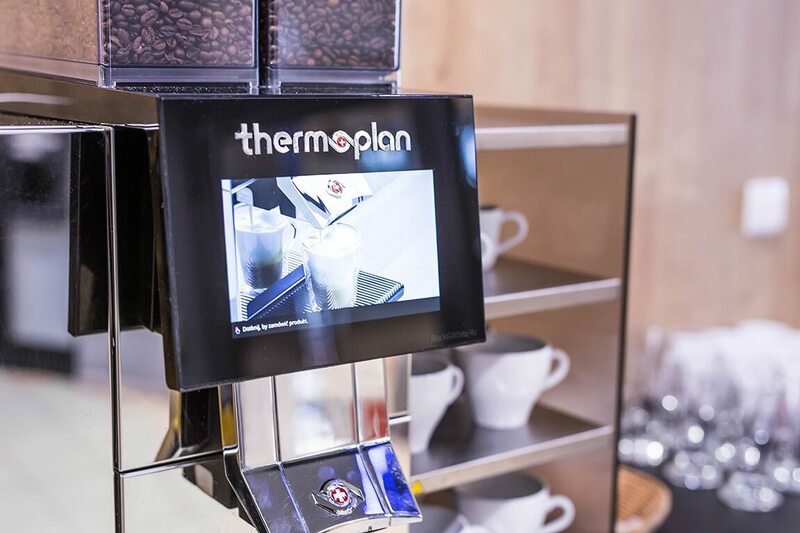 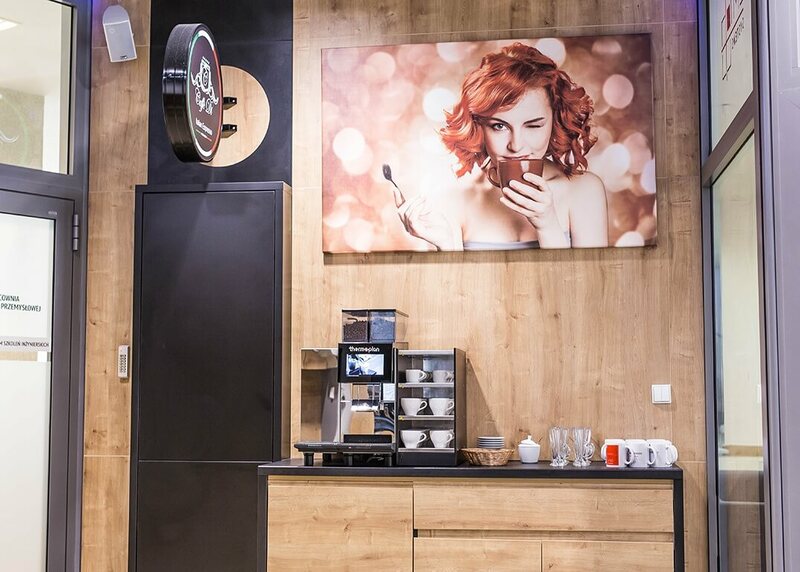 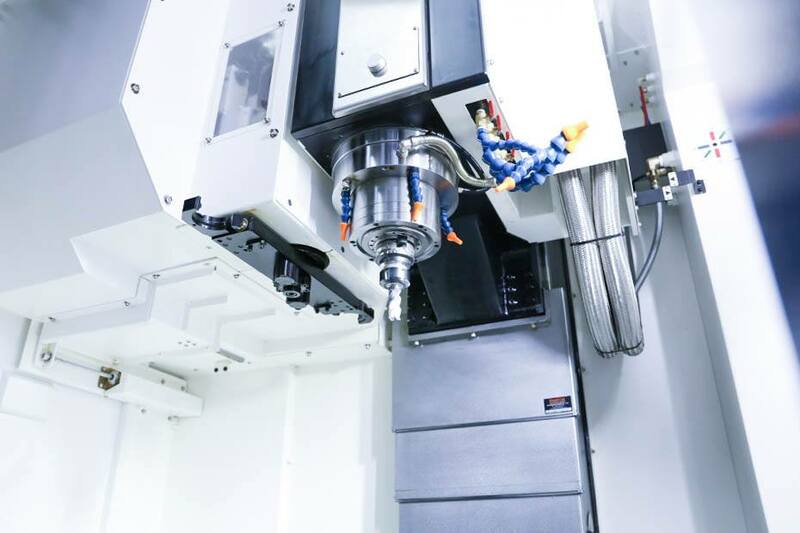 Software offers a wide variety of functions, from simple NC programming to high performance and multiaxis machining, allowing realization of many tasks using just one system. 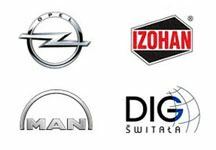 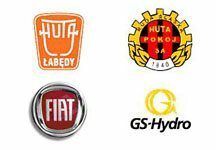 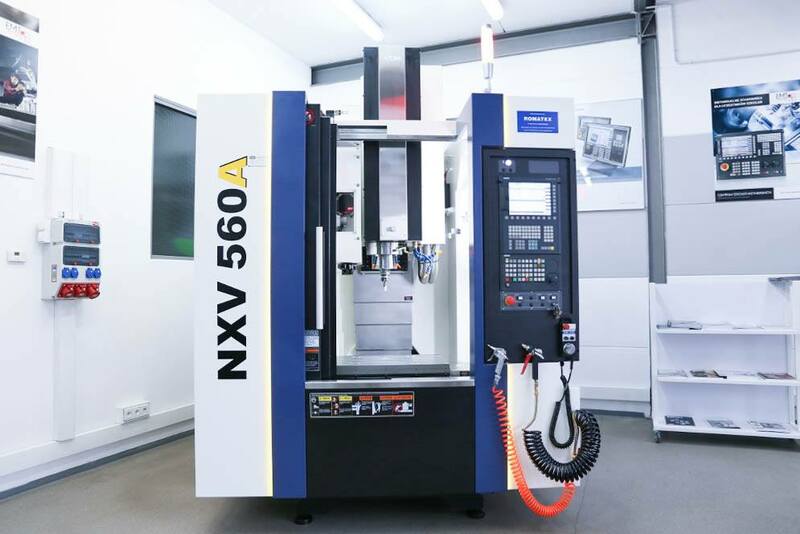 NX software is applied in many branches of industry successfully fulfilling its role in aviation, automotive industry, medical equipment, foundry industry and machinery. 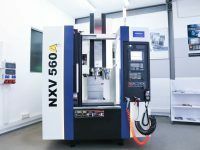 NX CAM software is fitted with closely integrated post processing system that enables easy generation of the right NC code for nearly all types of machines and controller configuration. 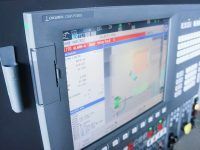 Many levels of checking accuracy of the NC program include simulation based on G-code, which eliminates the necessity of using separate simulation systems. 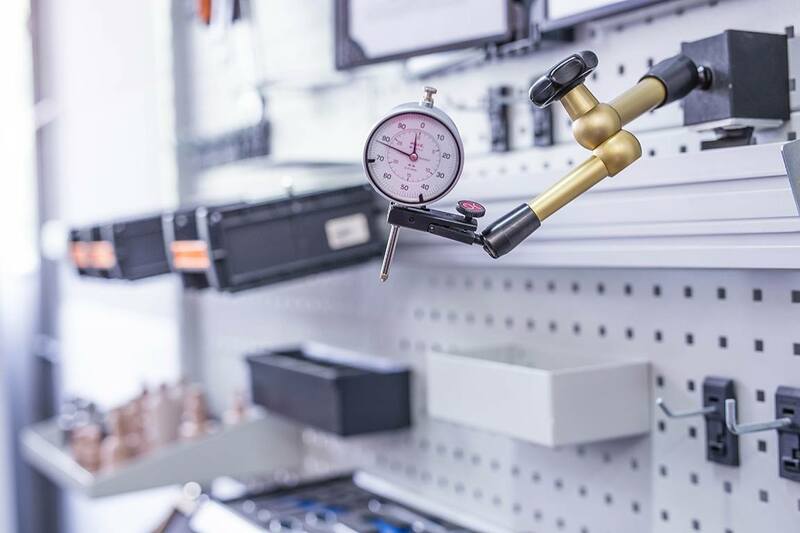 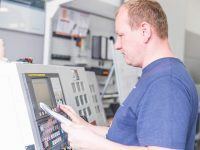 Our trainers are experienced programmers and operators with many years of work experience and examiners of the regional examination committees in the profession cutting machine operator. 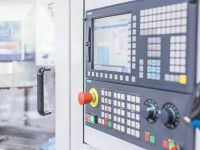 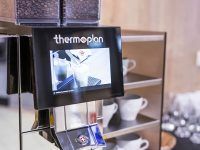 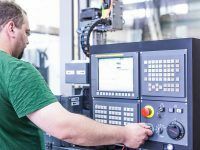 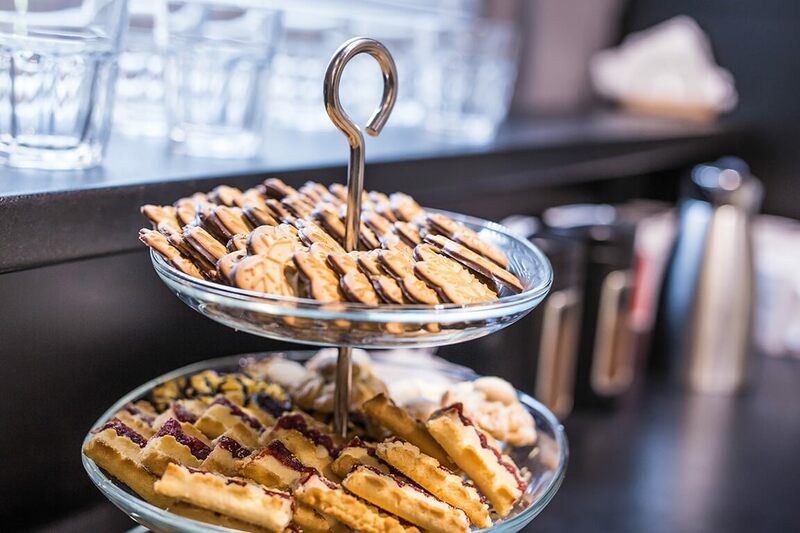 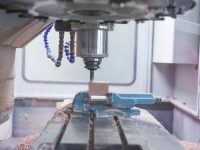 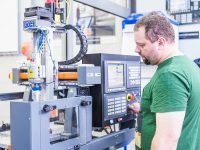 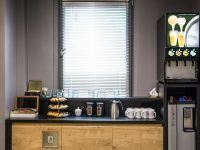 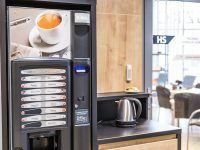 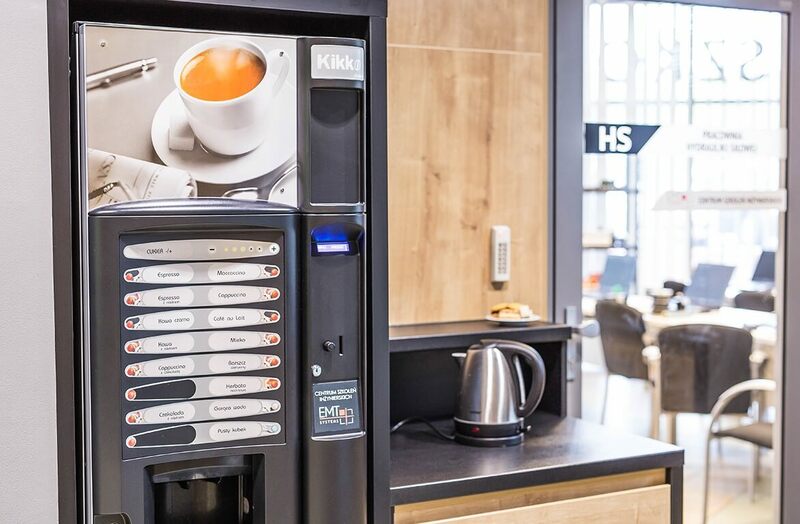 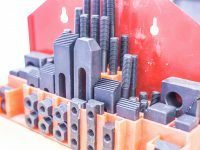 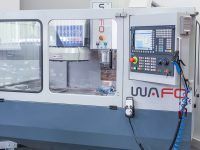 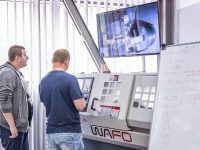 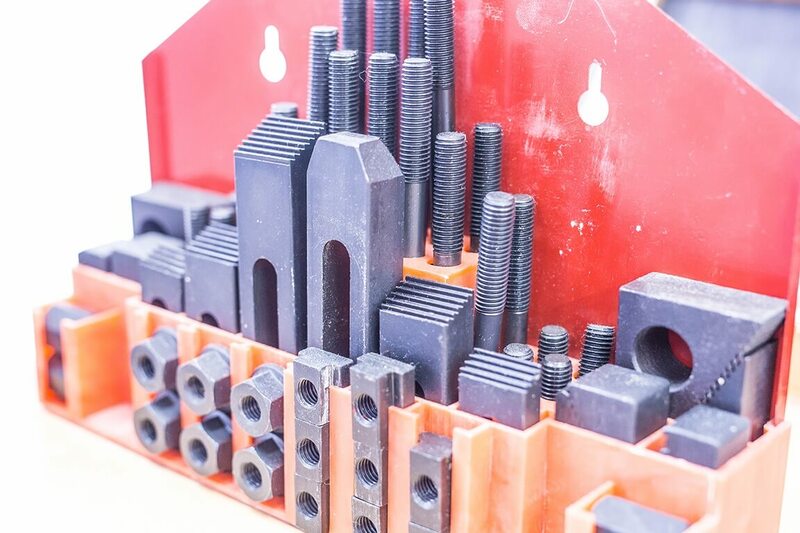 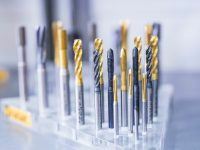 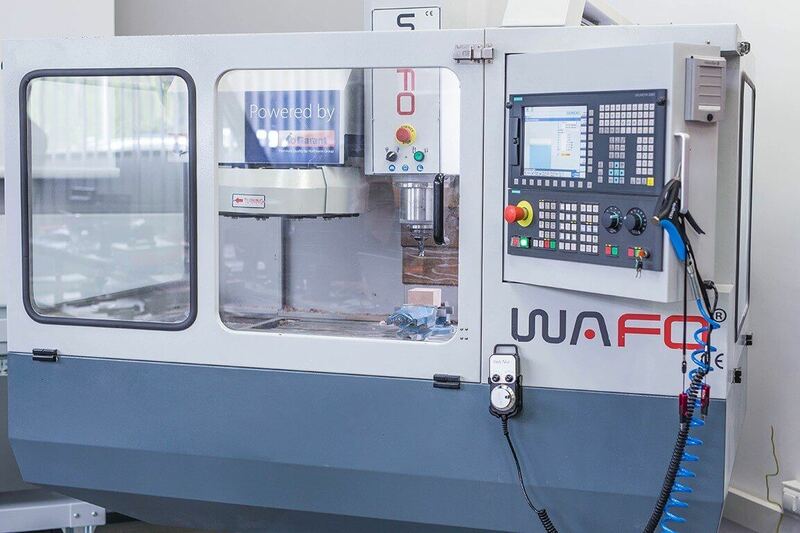 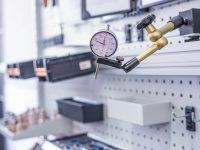 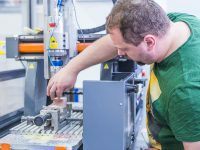 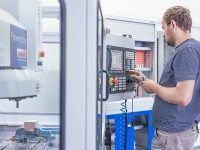 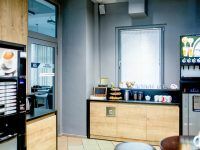 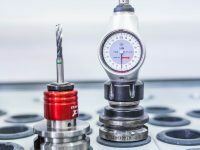 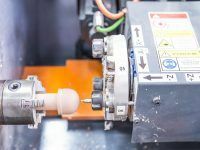 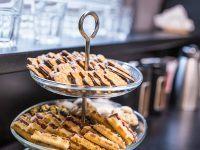 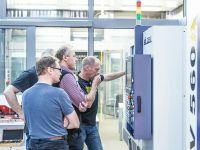 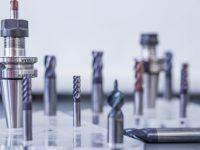 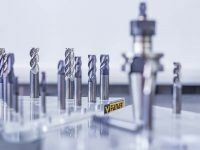 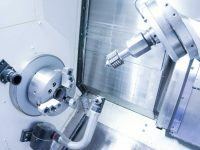 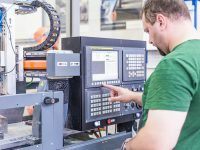 They often work for industrial plants in the programming and operation of numerically controlled machine tools, as well as conducting training courses. 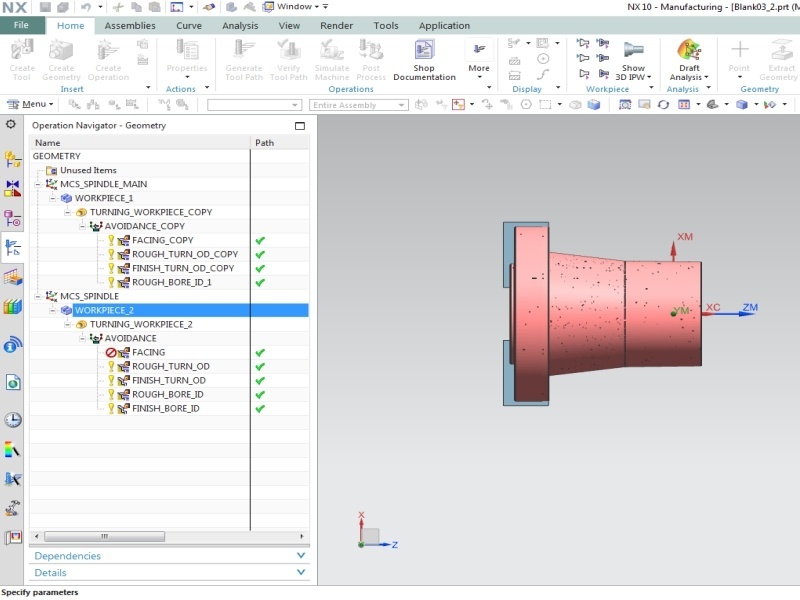 Designers and engineers implementing NX CAM systems. 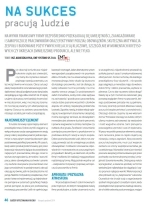 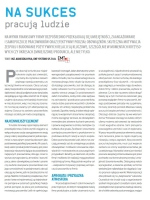 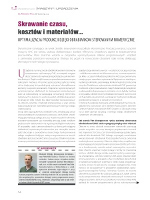 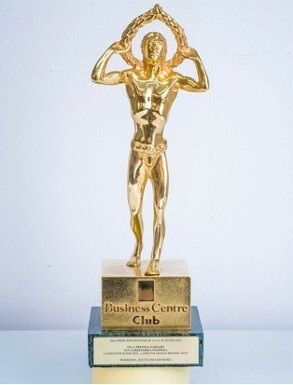 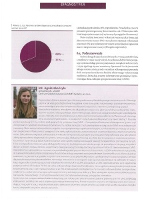 In addition, they provide consulting services and work as experts for renowned trade periodicals. 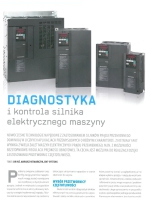 A textbook written by the employees of The Engineering Training Center EMT-Systems and covering subjects discussed during courses. 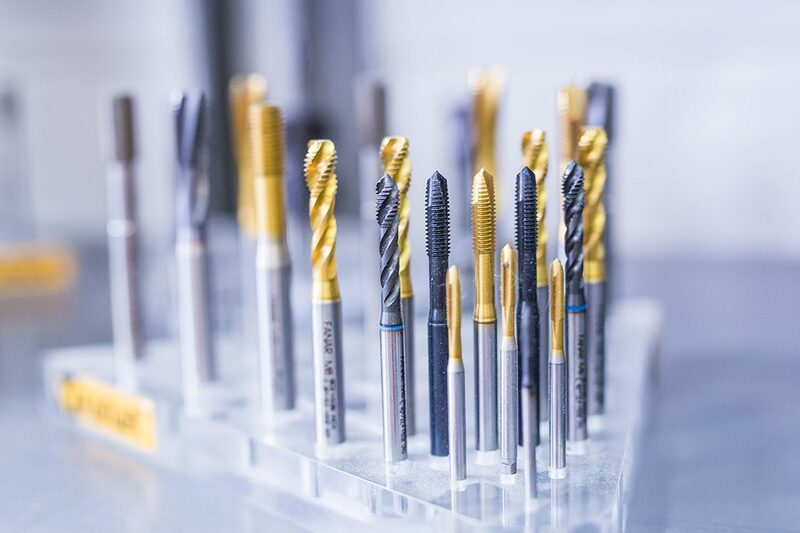 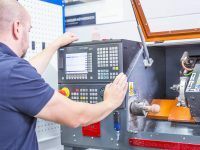 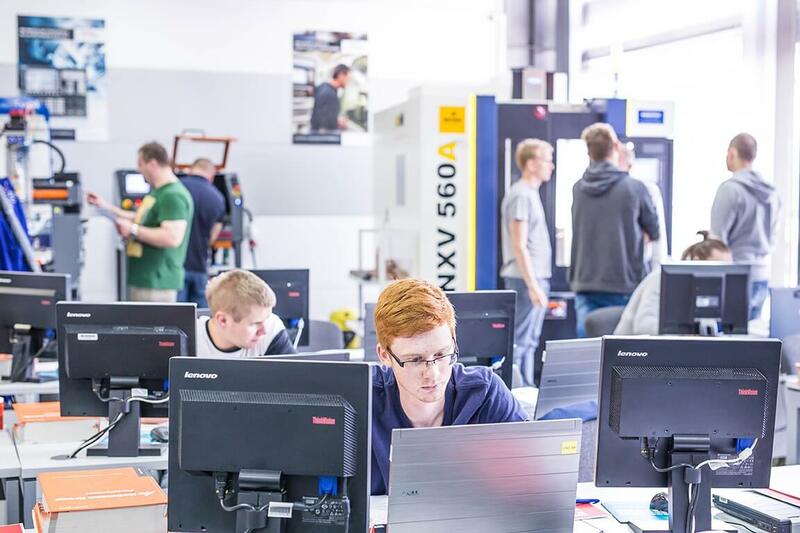 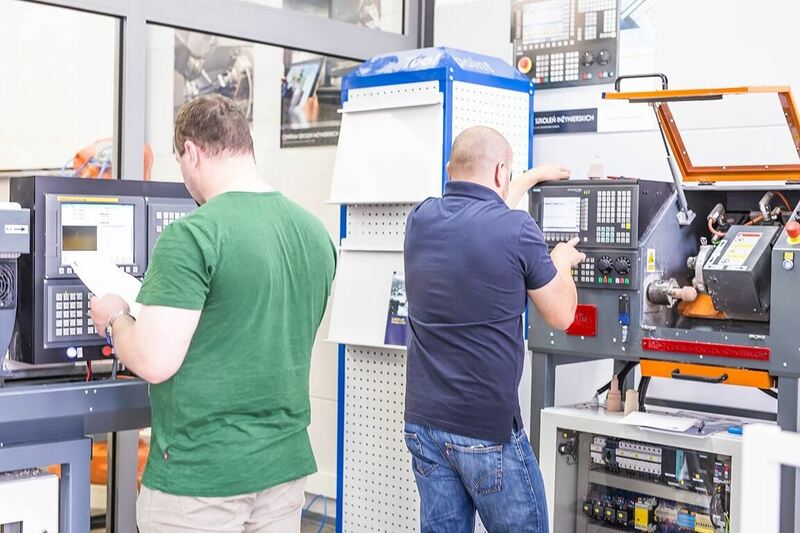 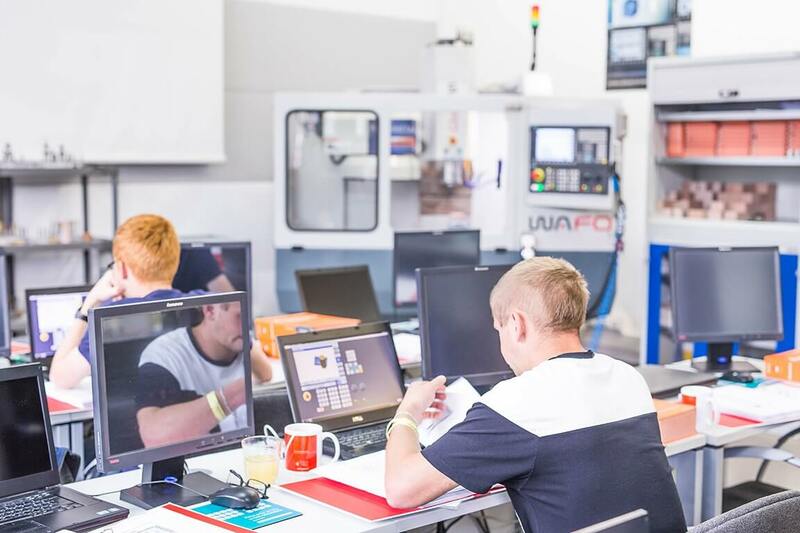 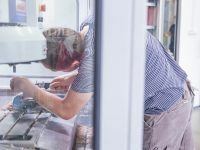 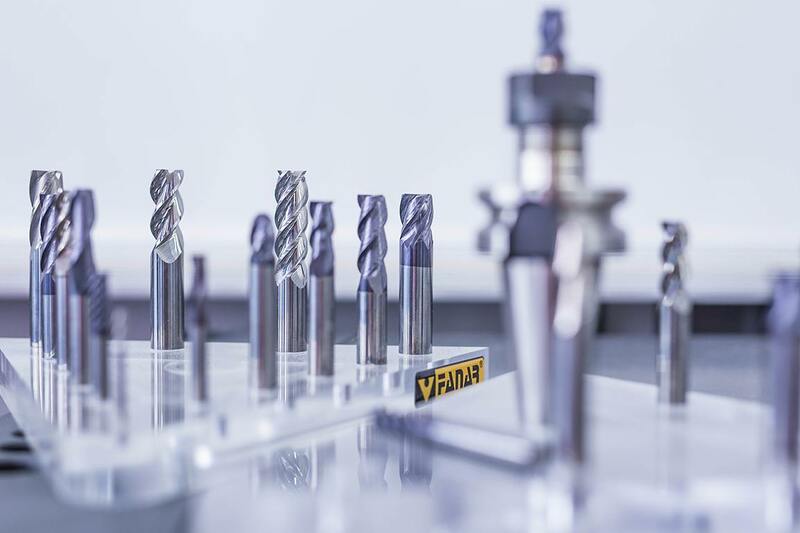 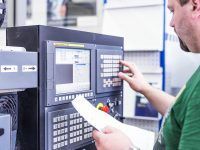 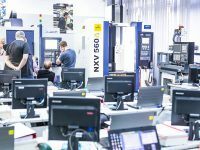 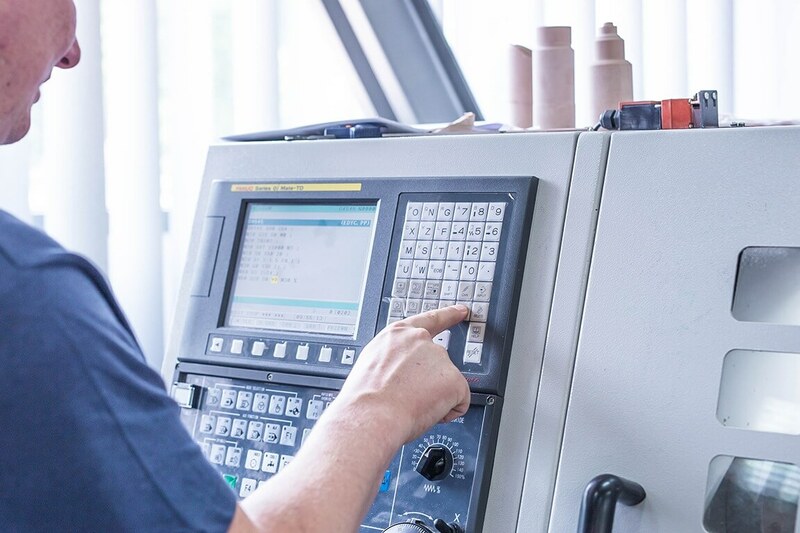 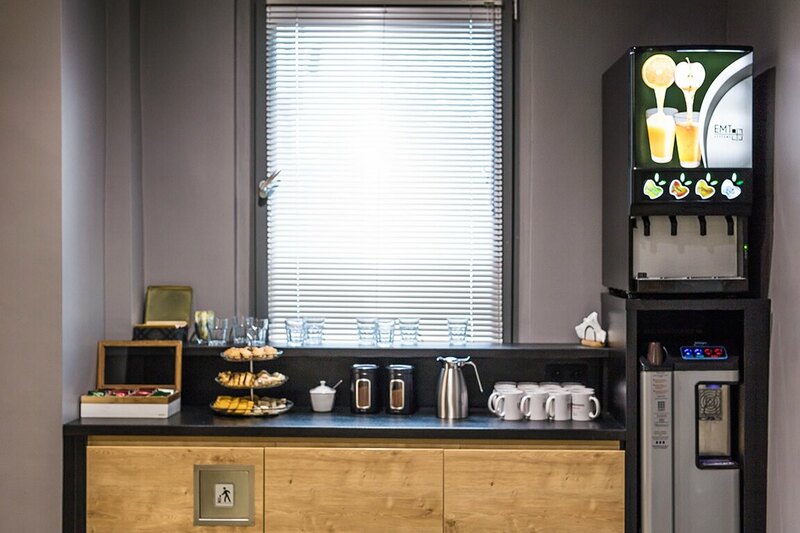 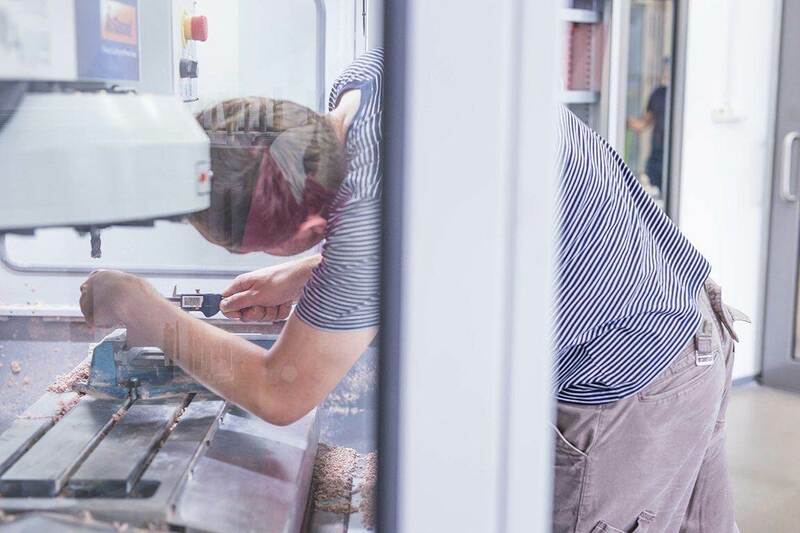 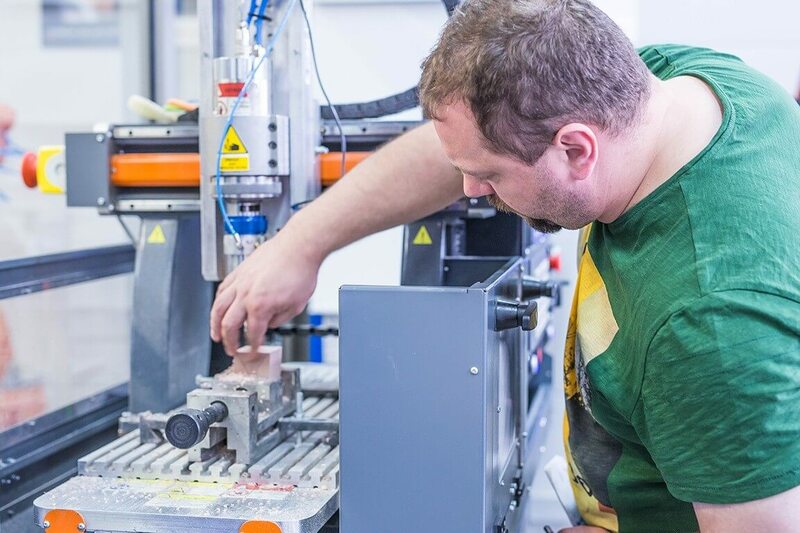 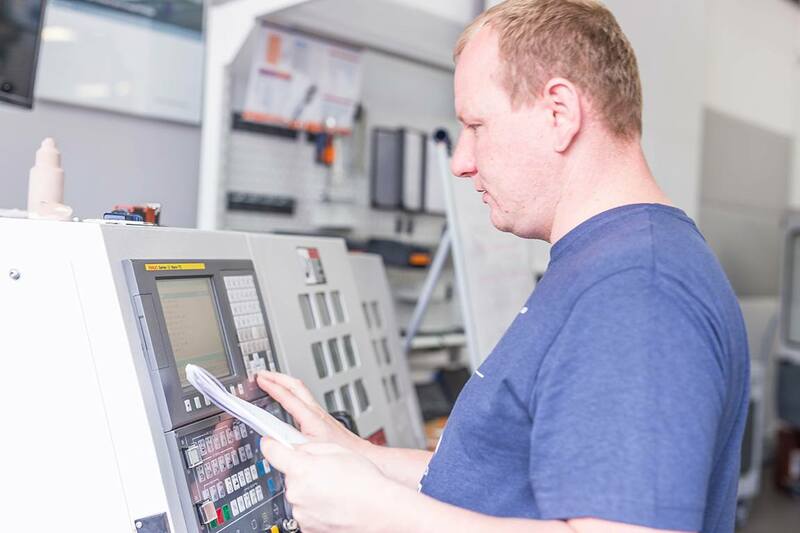 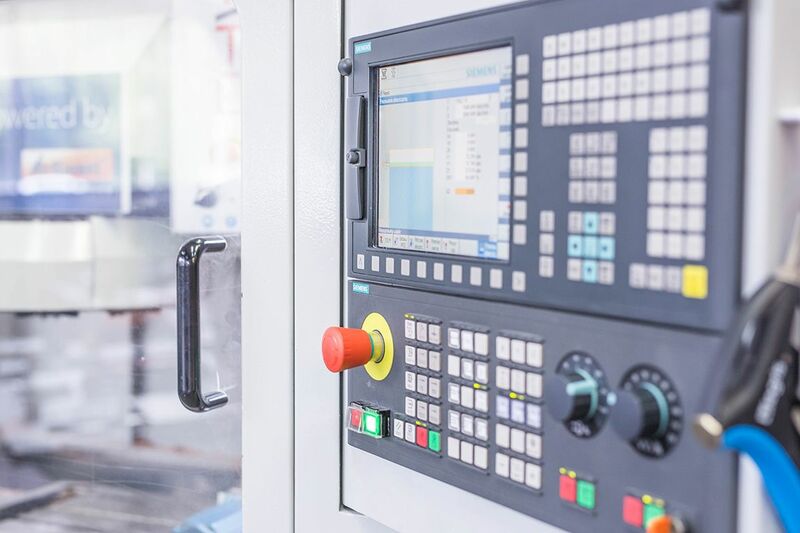 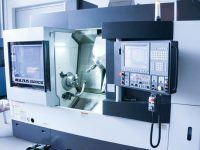 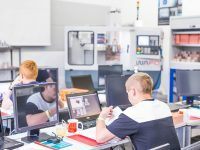 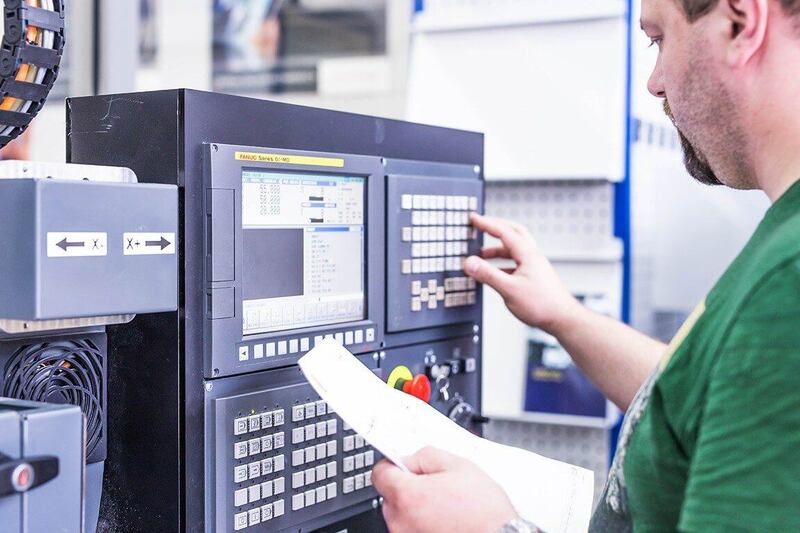 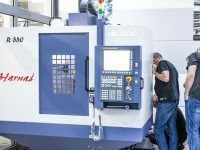 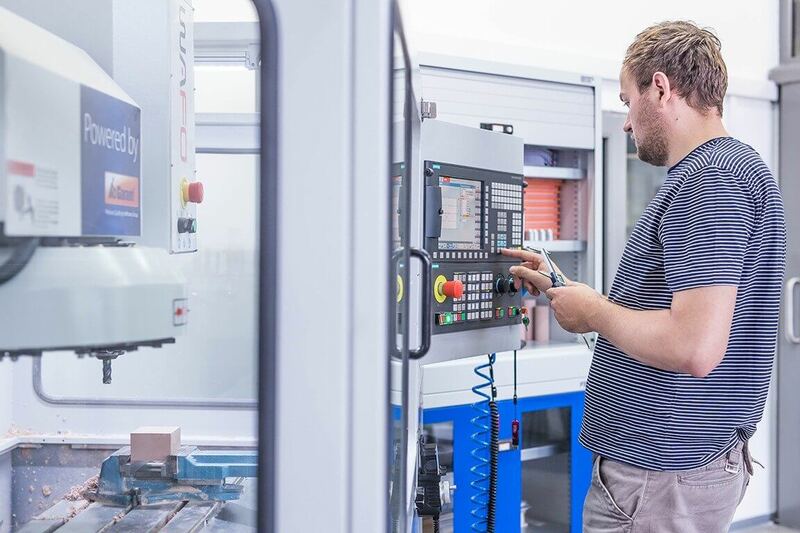 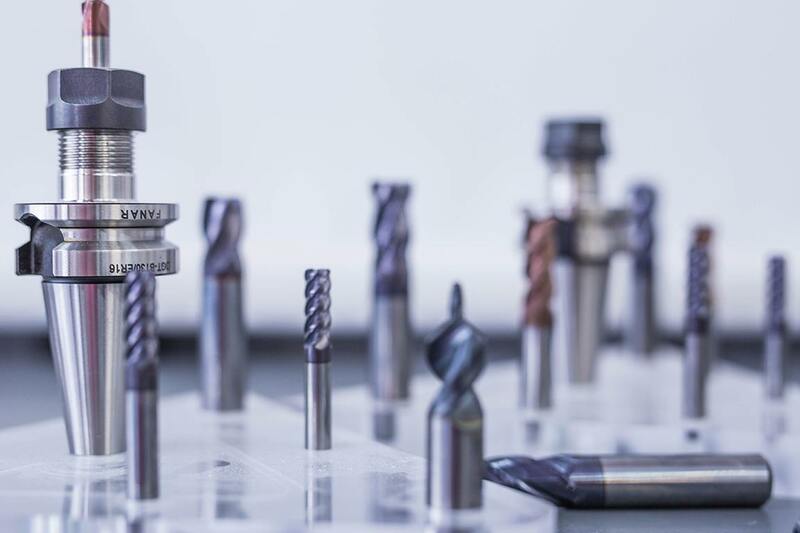 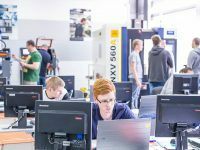 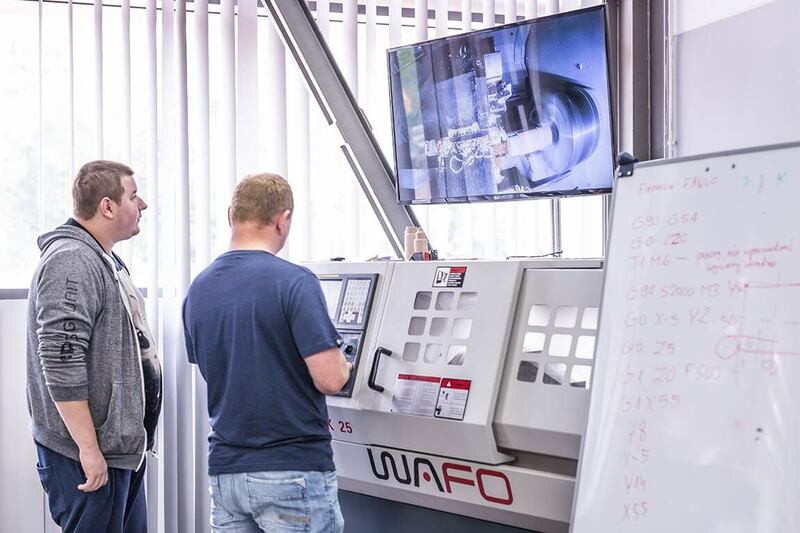 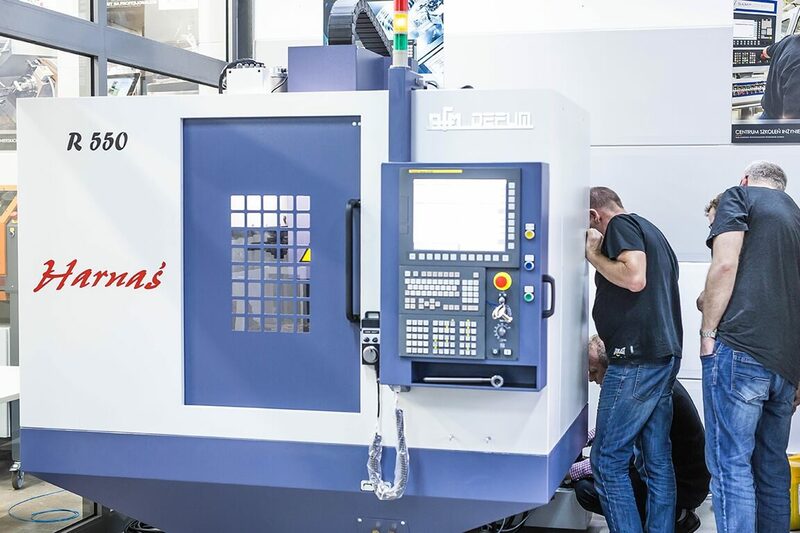 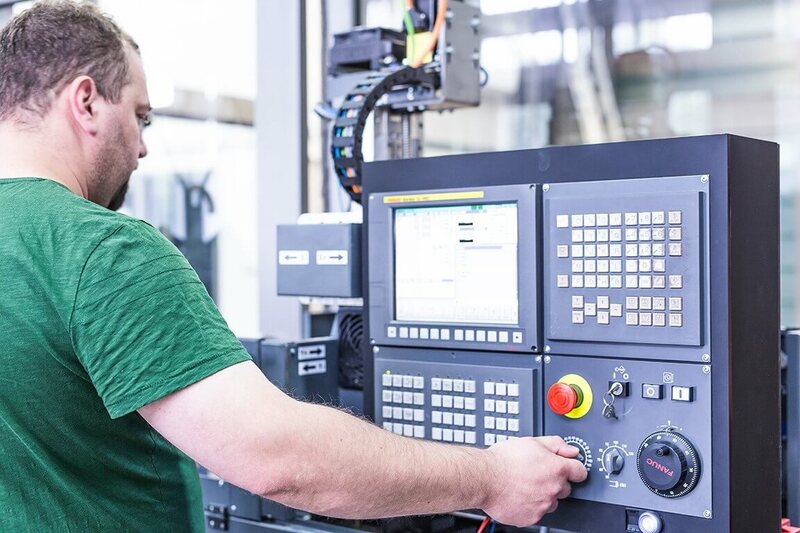 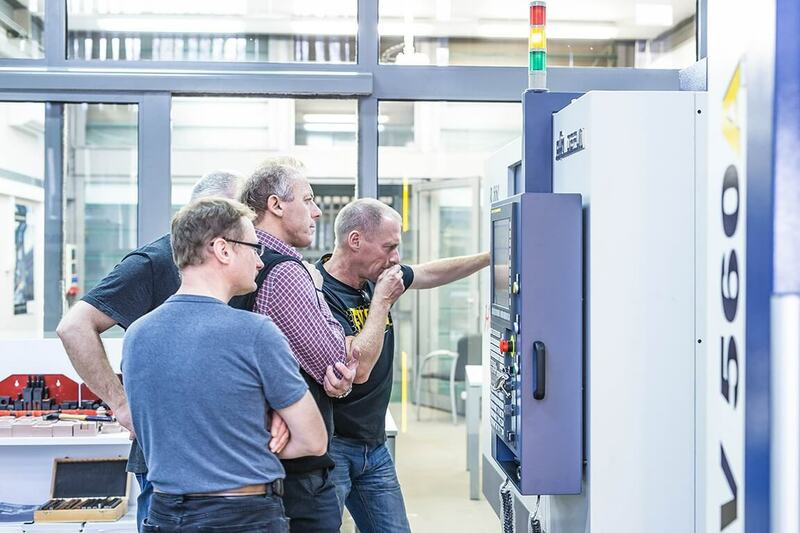 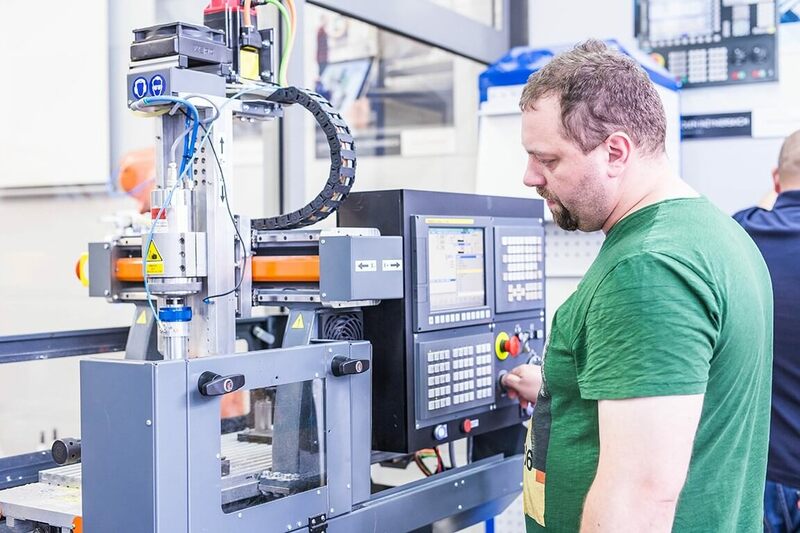 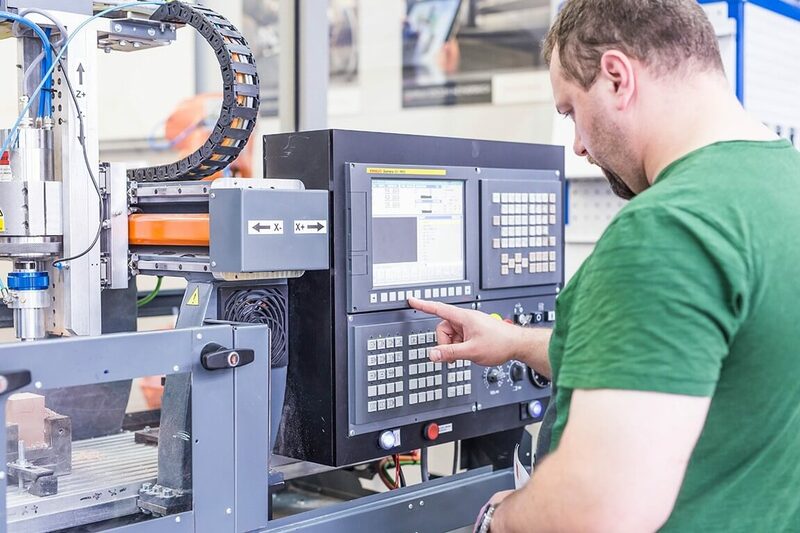 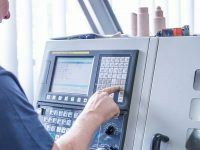 During our courses we particularly focus on exercises on actual CNC machines with Sinumerik and Fanuc control systems, presentations and computer-based exercises in programming CNC milling machines/lathes. 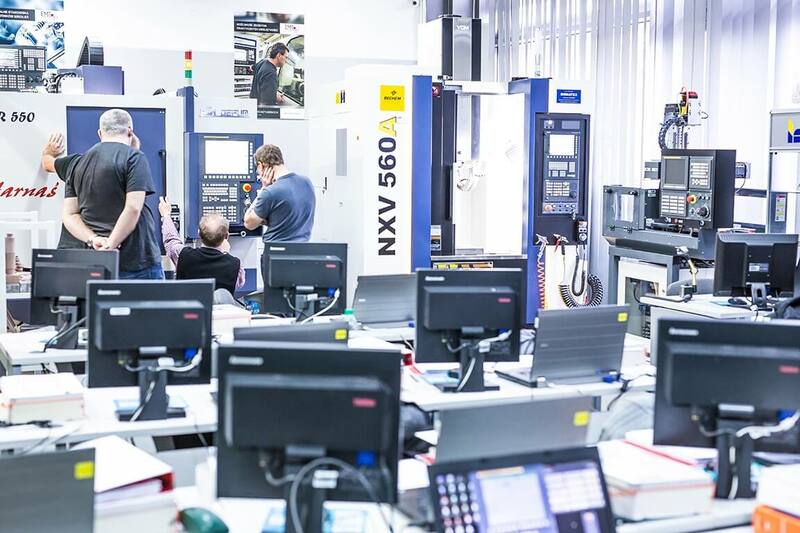 We are the only training center in Poland to have introduced exercises on Siemens PLM Software - NX CAM (Manufacturing module).